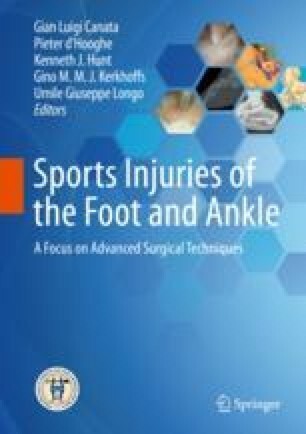 Hallux rigidus is the most common condition of the first metatarsophalangeal (MTP) joint in athletes and is a cause of significant disability in this patient population. Several surgical options exist in the management of this disease including cheilectomy, arthroscopy, and arthrodesis. When determining the appropriate operative treatment, the risks and benefits of each procedure must be weighed against the individual athlete’s sport and activity level. Given ongoing advances in surgical techniques and rehabilitation protocols, it is important for the orthopedic surgeon to maintain awareness of advances and outcomes in order to optimize outcomes, decision-making, and patient education.